Did you know the Willamette Valley AVA reaches from the top of the Oregon Coast Range to the west and to the peaks of the Cascade Mountains in the east? In fact, many creeks and rivers with headwaters in the Cascades nurture the lush valley year-round. These higher altitude streams put on an especially dramatic display in winter as snow falls and softens the surrounding landscape. Visit Salt Creek Falls, the second highest single drop waterfall, and possibly the most beloved Oregon winter waterfall of all. With an impressive 286 foot drop into a scenic canyon and easy access, Salt Creek Falls offers a huge reward for little effort. The primary observation platform at the top of the waterfall is only 50 yards from the parking lot. The platform is wheelchair accessible with railings that accommodate wheelchair sight-lines. 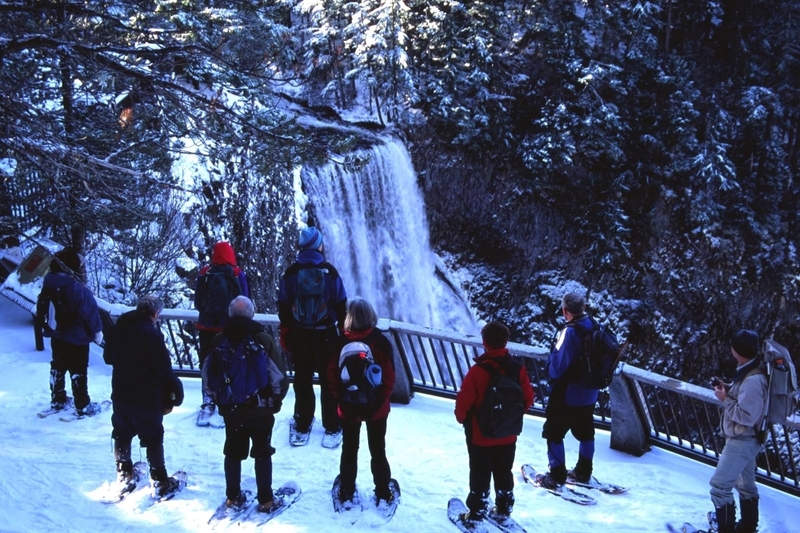 For those willing to adventure a little further, snowshoeing from Salt Creek Falls to nearby Diamond Creek Falls is an unforgettable experience. The Diamond Creek Falls Trail #3598 is a difficult 2.5 mile (4 km) loop that goes east and crosses Forest Road 5893-420. Here, you can look back and see the cliffs of Mt. David Douglas. The trail continues through the forest crossing Forest Road 5893-420 once again and heads northeast back to the Salt Creek Falls Observation Site. 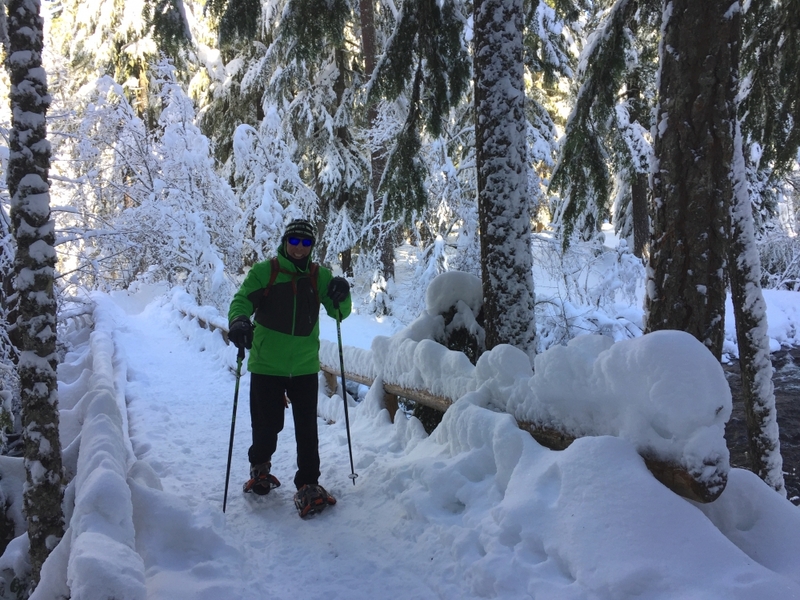 For families looking for a more kid-friendly activity, visit the nearby Salt Creek Sno-Park, where families can sled or tube down a significant hill. After spending the day playing in the snow, warm up with a soak at McCredie Hot Springs or grab an authentic cask-style winter ale and traditional Bangers & Mash from Brewer’s Union Local 180. If wine is more of your preferred beverage, you can also get a taste of the Willamette Valley wine country with their Pinot Noir sauce atop a cheesecake or ice cream dessert.